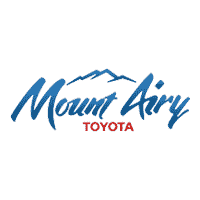 JUST REPRICED FROM $33,995, PRICED TO MOVE $4,500 below NADA Retail! 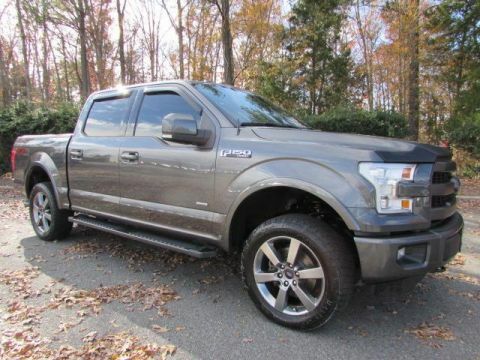 Heated Leather Seats, Back-Up Camera, 4x4, Trailer Hitch, Premium Sound System, Bluetooth, iPod/MP3 Input, Satellite Radio, LARIAT INTERIOR PACKAGE READ MORE! 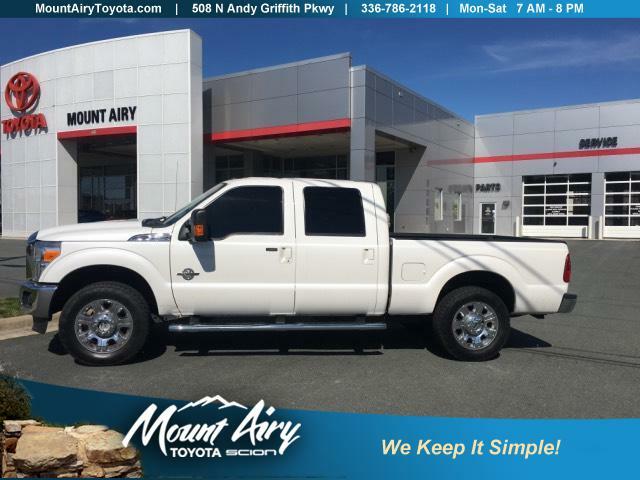 Leather Seats, 4x4, Back-Up Camera, Premium Sound System, Satellite Radio, iPod/MP3 Input, Bluetooth, Trailer Hitch, Dual Zone A/C, WiFi Hotspot, Heated Leather Seats MP3 Player, Privacy Glass, Keyless Entry, Steering Wheel Controls, Heated Mirrors. 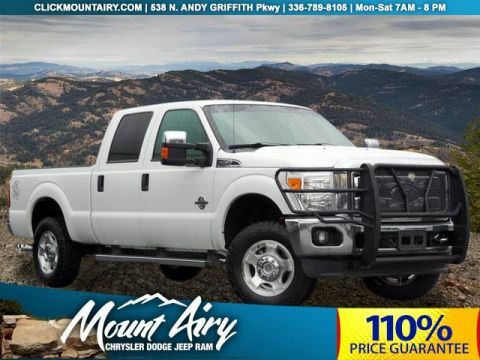 ENGINE: 6.7L 4 VALVE POWER STROKE DIESEL V8 (B20) 3.31 Axle Ratio, 26 Gallon Fuel Tank, Dual 78-AH 750 CCA Batteries, WHEELS: 20 PREMIUM CAST ALUMINUM (4) bright hub covers/center ornaments, LARIAT INTERIOR PACKAGE Memory PowerScope Trailer-Tow Mirrors, Remote Start System, Power Heated/Cooled Passenger Seat, Memory Power Heated/Cooled Driver's Seat, easy-entry/exit memory driver's seat feature, Memory Power Adjustable Pedals, 5 CHROME TUBULAR STEP BARS, ELECTRONIC LOCKING W/3.55 AXLE RATIO, TRANSMISSION: TORQSHIFT 6-SPEED AUTO W/OD (6.7L) SelectShift, TIRES: LT275/65RX18E BSW A/S (5) (STD). Ford Lariat with White Platinum Metallic Tri-Coat exterior and Black interior features a 8 Cylinder Engine with 400 HP at 2800 RPM*. Reduced from $33,995. 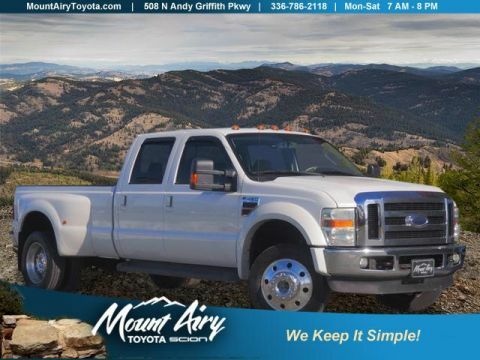 This Super Duty F-250 Pickup is priced $4,500 below NADA Retail.